October 4, 2013 /Photography News/ The New York Center for Photographic Arts (NYC4PA) invites photographers world-wide to submit images using any photographic process (print, image transfer, emulsion transfer, encaustic, black and white, color etc.). Winners will receive $3,000 in cash awards and be featured in a New York Gallery Show and on the NYC4PA Online Gallery. The Grand Prize winning image will be posted on the NYC4PA home page. Winners and Juror’s Selections will have the opportunity to participate in a gallery show, May 6 through 17, 2014, at the NEW CENTURY ARTISTS GALLERY in Chelsea, Manhattan’s West Side gallery district. In addition, an exhibition catalog of the group show will be available. Primary Colors: RED, YELLOW, and BLUE, the building blocks for the world of color we live in, also stand out on their own as important visual elements. For this call submissions need to have one of these colors as the key element. Black and white photographs with a single color object(s), color images where a red, blue or yellow item is the most important visual element are some examples. Send us your images that say RED or YELLOW or BLUE loud and clear. Grand Prize: One photographer will receive $750. The image will be part of the New York gallery show, the NYC4PA Online Gallery and the exhibition catalog. It will be featured on the home page of NYC4PA website. First Prizes: 3 photographers, one from each category, will receive $300. Their images will be exhibited in the New York Gallery show, the NYC4PA Online Gallery and in the exhibition catalog. Second Prizes: 3 photographers, one from each category, will receive $250. Their images will be exhibited in the New York Gallery show, the NYC4PA Online Gallery and in the exhibition catalog. Third Prizes: 3 photographers, one from each category, will receive $200. Their images will be exhibited in the New York Gallery show, the NYC4PA Online Gallery and in the exhibition catalog. Jurors’ Selections: 20 additional images will be included in the New York Gallery show, the NYC4PA Online Gallery and in the exhibition catalog. Honorable Mention: 20 additional images will be presented with a certificate of honorable mention, listed in the Online Gallery and the exhibition catalog. Stephen Perloff is the founder and editor of The Photo Review, and editor of The Photograph Collector. He has taught photography at numerous colleges and universities and has been the recipient of two grants from the Pennsylvania Council on the Arts, the Sol Mednick Award, The First Annual Vanguard Award from the Philadelphia Center for the Photographic Image, and the Colin Ford Award for Curatorship from the Royal Photographic Society. Stephen is regarded as an expert in the photographic art market. His articles are reproduced in dozens of journals including American Photo, Town & Country, Silvershotz, and the website Le Journal de la Photographie. He has been called on as an expert for The New York Times and several other publications, He has also written several essays and introductions for photography books. He is a long-time member and current board member of the Board of Artistic Advisers of the Center for Emerging Visual Artists (CFEVA) in Philadelphia. His own images have appeared in numerous galleries, museums and private collections including: The Light Room Gallery, Philadelphia; James A. Michener Art Museum; The Print Center, Philadelphia; Philadelphia Museum of Art; as well as InVision Photography Festival. In addition, he has curated more than a score of exhibitions, including the Juliet Margaret Cameron Trust and Galleries on the Isle of Wight, United Kingdom. His next curatorial project, "Photomontage Now," will open at the Rowan University Art Gallery in Fall 2013. All entrants to NYC4PA Open Calls for Entry, by virtue of their submission, are attesting that the images submitted are their own work and there has been no copyright infringement. NYC4PA will not be held liable for any infringement of rights that might surface during the jurying or displaying of any image. 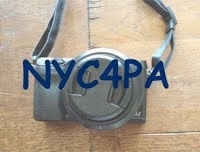 By submitting you grant NYC4PA the right to use your image(s) for promotion and advertisement of NYC4PA. Images selected by jurors for Prizes, Juror's Selection or Honorable Mention in a previous NYC4PA international call for entry are not eligible. Images previously submitted but not selected may be resubmitted as often as you wish.